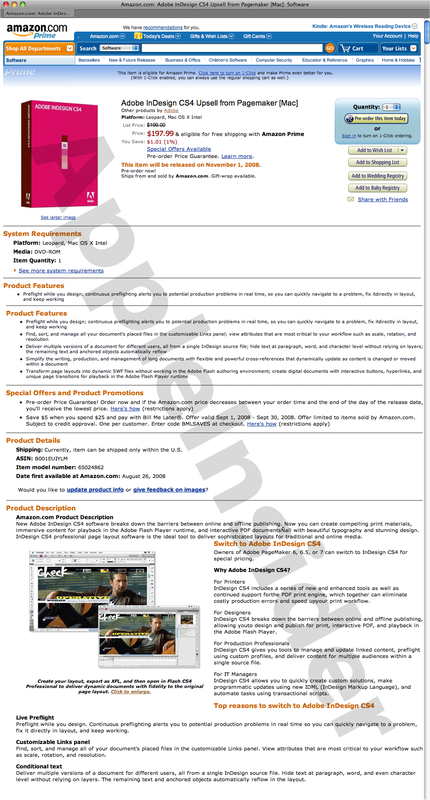 Online retailer Amazon.com has leaked details of Adobe InDesign CS4 on its website, revealing a slew of screenshots and features such as Live Preflight, conditional text, SWF file export, interface enhancements, and an availability date of November 1st, 2008. An capture of the Amazon page, which was visible in the public domain until recently, is being republished below for reader appreciation. The software is due for a public unveiling, alongside the remainder of Adobe's Creative Suite 4.0, next Tuesday. 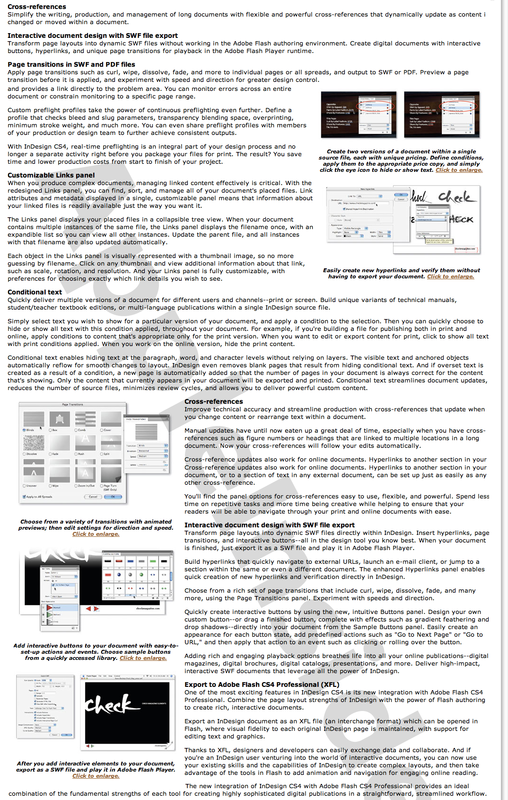 "New Adobe InDesign CS4 software breaks down the barriers between online and offline publishing. 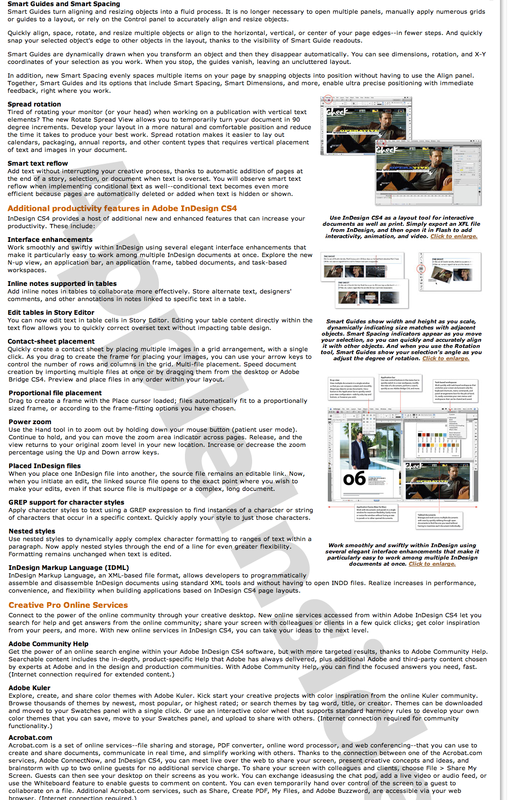 Now you can create compelling print materials, immersive content for playback in the Adobe Flash Player runtime, and interactive PDF documents all with beautiful typography and stunning design. InDesign CS4 professional page layout software is the ideal tool to deliver sophisticated layouts for traditional and online media."